Buying smartphones is now no big deal, even a person having mere 3000 bucks can hold a smartphone. But is it just buying a smartphone and using it, does the brand counts? Does the usability and reliability counts? Motorola has come up with some of the best smartphones with the best budget. Here are few of the best Motorola Smartphones. This smartphone is the most popular device from Motorola and is among the best sellers. A dual sim smartphone with an Operating system running on Android KitKat OS. Performance: Motorola Moto G2 is powered by 1.2GHz quad-core Qualcomm Snapdragon 400 processor and gets a support of 1GB of RAM. Camera: It sports an 8MP rear camera with LED flash, and also has a 2MP front camera. OS: It runs on Android 4.4.4 KitKat OS which can be updated to Android v.5.0.2 Lollipop. It comes with 8GB of internal memory which cannot be expanded. Battery: The phone is fueled in with a non-removable 2070 Li-Ion battery. Motorola New Moto E 4G LTE is the fastest Motorola phone with 5mp camera and is considered to be the third fastest Motorola smartphone. It sports some of the best features considering the price it is offered at. Performance: Motorola New MOTO E 4G LTE is powered by 1.2GHz quad-core processor based on 64-bit Qualcomm MSM8916 Snapdragon 410 chipset. Display: It features a 4.5-inch IPS shed display with Corning Gorilla Glass 3 protection. Camera: New Moto E 4G LTE features a 5MP autofocus rear camera which supports HDR and touch focus and is accompanied by a 0.3MP front camera. OS: The Motorola smartphone runs on on its latest Android v5.0 Lollipop OS, and comes with an internal memory of 8GB. 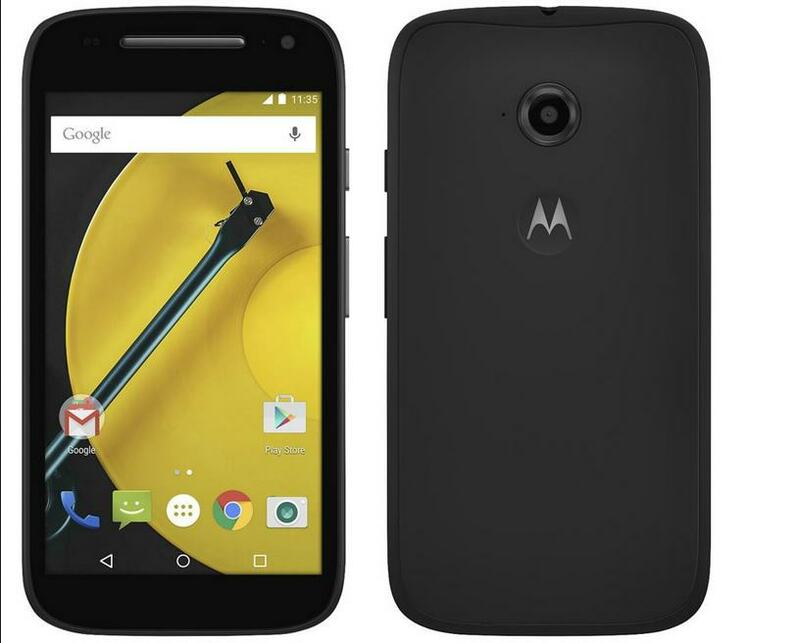 Battery: Motorola New Moto E 4G LTE is fuelled by a sealed 2,390mAh Li-ion battery. 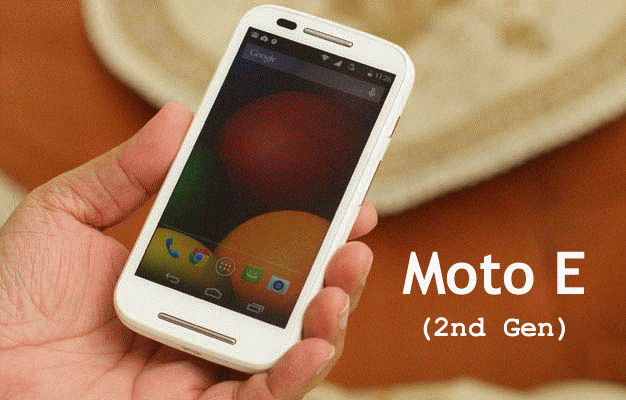 Motorola New Moto E (2GEN) is the fastest dual sim Motorola phone, in accordance to its price it comes with quite good features. It comes with an internal battery of 4GB which can be expanded up to 32GB. 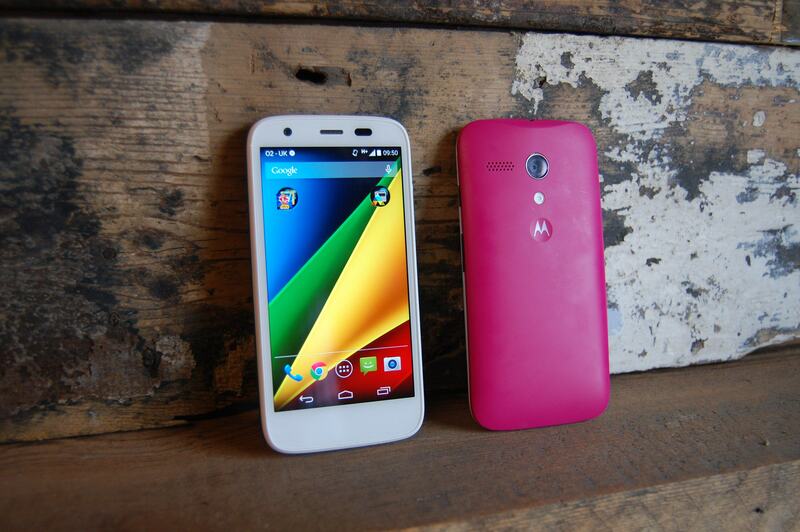 Performance: Motorola New Moto E (2Gen) is powered by 1.2GHz Qualcomm Snapdragon 400 chipset with Quad core processor. Display: Motorola New Moto E 2gen sports a 4.5-inch LCD multi touch display with a resolution of 540 x 960 pixels (qHD) leading to a pixel density of 245ppi. Camera: It sports a 5MP camera including LED flash, geo-tagging, HDR and panorama and effective in recording 480p videos. OS: It runs on Android v4.4.2 KitKat OS, and will be updated to the recently launched Android v5.0 Lollipop OS. 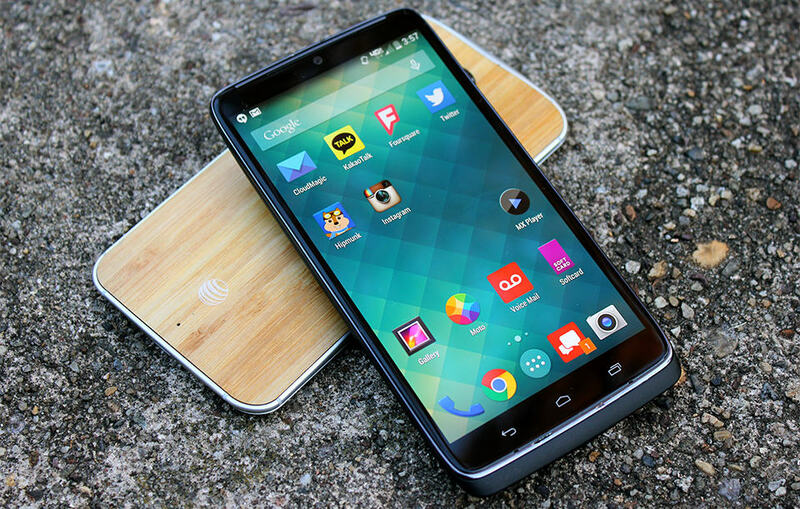 Battery: Motorola New Moto E is fueled in with a 2,000mAh Li-ion battery. The Motorola Moto Turbo is a new variant of the Motorola Moto Maxx, which is the global variant of the Motorola Droid Turbo that is exclusive to US mobile carrier Verizon. Performance: Motorola Moto Turbo features a 2.7GHz Krait 450 Quad-Core processor based on Qualcomm Snapdragon 805 chipset. Display: It sports a 5.2-inch OLED Moto display with Quad HD resolution of 1,440 x 2,560 pixels. Camera: It features a 21MP autofocus camera with geo-tagging, 4X digital zoom, touch to focus, HDR and dual LED flash. It comes with a 2mo selfie camera. OS: It runs on Android v4.4 KitKat OS. Battery: Moto Turbo is fueled in with a 3,900mAh Li-Po battery. There are lots more Motorola smartphones which are so awesome. We have collected some so if you have another Motorola smartphones except the mentioned above then please do share about your views, feedback on the comment area.